The Wall Street Journal and its publisher Rupert Murdoch appear to be using President Donald Trump’s national security adviser H.R. McMaster as their latest weapon in their continuing battle against Trump’s America-first agenda and movement that enabled Trump to shock the world on election night. After Trump won the White House, Democrats, the Deep State, and the legacy media have often worked together to delegitimize Trump, which is something Trump has every reason to be angry about. But the Journal, by mimicking Joe Scarborough and attempting to marginalize Trump’s nationalist advisers, is subtly trying to take over Trump’s presidency for the GOP establishment that Trump resoundingly defeated over and over and over again. In its latest editorial on Wednesday, the paper of choice for Republican globalists hopes that there is more “clean-up duty to be done” for new White House Chief of Staff John Kelly. The paper targets White House Chief Strategist Steve Bannon for opposing McMaster’s “favoring more troops” in Afghanistan and McMaster’s insistence on not getting out of the Iran Deal. To the Journal, it is a problem that Bannon, whom former Chief of Staff Reince Priebus described as someone who worked 24 hours a day for Trump’s nationalist agenda, is a street fighter for the working-class Americans who elected Trump and whom the Journal views as mere commodities. In March, the Journal, as Breitbart News noted, criticized Bannon’s “signature issues of economic nationalism and border security” as unacceptable positions that were responsible for “polarization” even though those issues united working-class Democrats and Republicans in the Rust Belt to deliver Trump his election-night win. The Journal has always been right in this sense—the greatest divide between Wall Street and Main Street has been on issues like amnesty for illegal immigrants that put internationalist-first globalists against America-first nationalists. And in 2016, the Journal was consistently on the wrong side of this divide. Bannon so often has to throw haymakers for Trump’s voters because nearly all of Trump’s top advisers in the White House are Democrats or GOP globalists. Democrat and Hillary Clinton donor Gary Cohn has been trying to push Trump to adopt more globalist policies that Wall Street and Davos elites favor. Internationalist H.R. McMaster, who may be allergic to saying “radical Islamic terrorism,” seems to have spent more energy in the first months of his job purging Trump’s loyalists from national security posts and trying his best to convince Trump that radical Islamic terrorism, to use the words of Trump’s adviser Dr. Sebastian Gorka, is just the “flu” as opposed to a “cancer” that needs to be annihilated. Then there is McMaster’s globalist deputy Dina Powell, the Scarborough ally who the Journal knows will get even more influence if Bannon, as Scarborough begged Trump Chief of Staff John Kelly to do, is sidelined. Trump essentially put a stake in the heart of Bushism in 2016, but Powell is the one in Trump’s White House who carries whatever flickering flame is left of Bushism—the disastrous combination of neoconservatism abroad and corporate cronyism at home that made the nation hate Republicans. The Associated Press reported this week that the dispute between McMaster’s more interventionist approach in Afghanistan and Bannon’s non-nation building strategy represents a greater tension between the Republican establishment that McMaster represents and Trump’s movement of “America-first” voters, whose views Bannon best embodies in Trump’s White House. 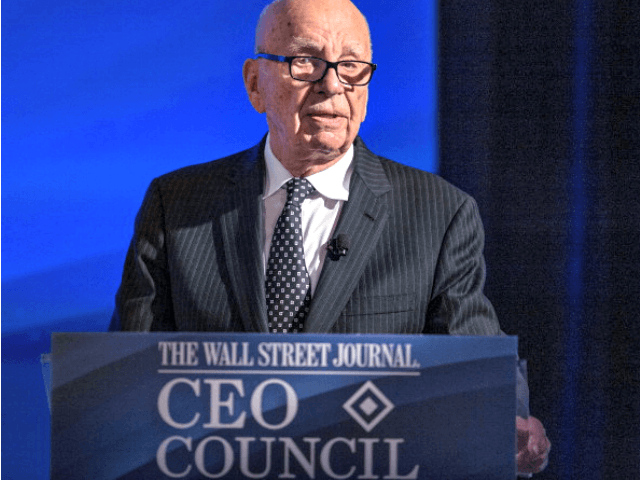 Murdoch–as Joshua Green reported in his book Devil’s Bargain: Steve Bannon, Donald Trump and the Storming of the Presidency–seems to have always held those working-class nationalists in contempt. “He’s not running for president,” Murdoch replied without looking up from his soup. “No, he is!” she insisted. Trump nursed the slight for months. “He didn’t even look up from his soup!” he’d complain. The Journal is trying to get the best of both worlds by attempting yet again to marginalize Bannon. They want Trump to turn into globalist George H.W. Bush and move away from the pro-nationalist and America-first agenda that won Trump his historic election. Murdoch’s establishment Republican paper is trying to convince Trump to chase the mythical and overhyped “No Labels” voters (there may be more dead armadillos than these “No Labels” middle-of-the-road voters). So long as Trump adopts the Journal’s globalist agenda, the paper of record for the GOP permanent political class seems like it would be perfectly fine if Trump is booted out of office in 2020 and branded as one of history’s biggest losers. That would actually be a win-win for the Journal and a lose-lose for Trump and his historic movement.